Aged Care Crisis advocacy group member Lynda Salterelli says it is a daunting task. “It's important the commission hears from as many family members as possible,” Ms Salterelli told ABC reporters. “This is pretty much a once-in-a-lifetime opportunity to make a contribution. The royal commission will investigate substandard care, mistreatment, abuse and systemic failures. It is expected to examine the controversial use of physical restraints and medication to control dementia patients. On that note, Aged Care Minister Ken Wyatt has announced new regulations to prevent the excessive use of physical and chemical restraints. Several recent reports have called for Government regulations on the use of restraints similar to those in the US, UK and Europe. Mr Wyatt says the new regulations should be in place “within weeks”. But doctors say understaffing is the real problem. “Ideally we would prefer not to use any medications at all, but if there is no staff there, the patients are at risk and they need to be taken care of,” Dr Harry Nespolon, President of the Royal Australian College of General Practitioners, told reporters this week. 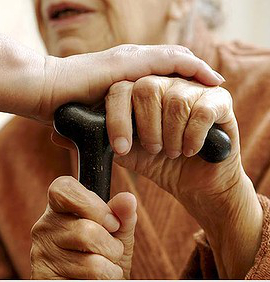 Dementia Australia chief executive Maree McCabe says 70 per cent of the aged care workforce is not required to have any training in dementia, which can contribute to the use of restraints. “One of the challenges is that staff are not always clear about the things that they can do other than give medication,” Ms McCabe said. Ms McCabe said over half of all people in residential care have dementia, but psychotropic medication is only effective in 20 per cent of cases.